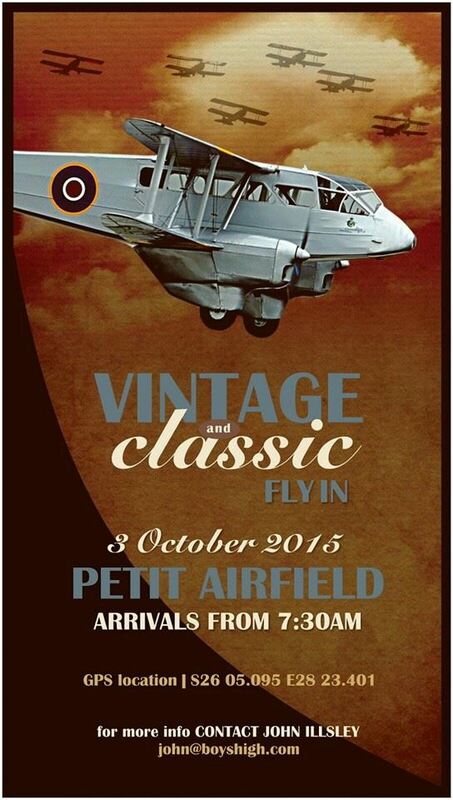 3 October: Extreme & Fun Sports Day - Uitenhage Airfield, Eastern Cape. 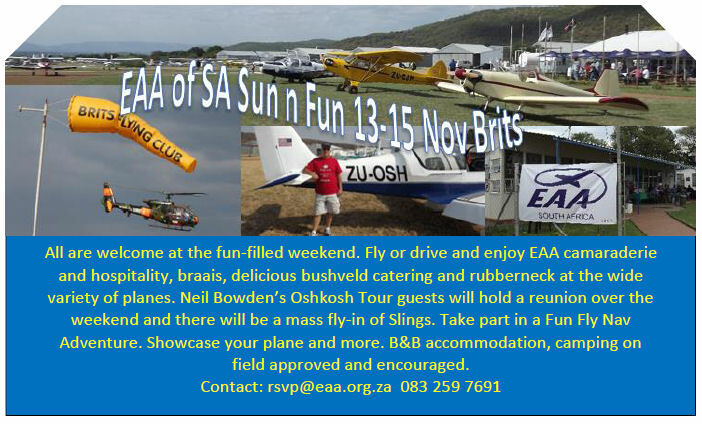 Skydiving,Paragliding, Powerparagliding, Gliding, Flying, Extreme 4x4 Challenge, Vw Beatle Parade, Stalls and live music. 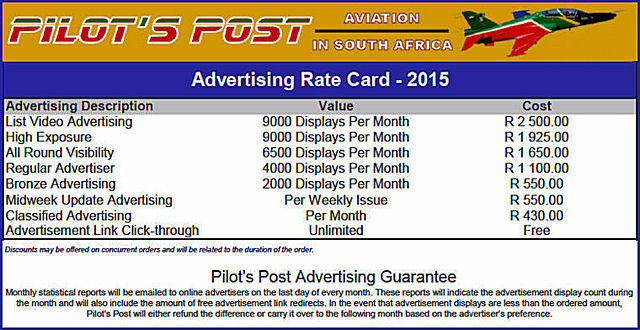 Contact Lourens Kruger 082 320 2615. September 30 1982 - H Ross Perot Jr. and J. W. Coburn make history by landing their Bell LongRanger II helicopter in Dallas, Texas 29 days, 3 hours, and 8 min after taking off. It is the first time a trip around the world is completed by helicopter. October 1 1969 - The Concorde supersonic transport plane breaks the sound barrier for the first time. October 1 1940 - A British bomber is shot down over the Netherlands by German antiaircraft artillery after being illuminated by a searchlight coupled to a Freya radar. It is the first time an aircraft is destroyed after being detected and illuminated by a radar-guided searchlight. October 2 1918 - The Kettering Bug pilotless airplane being developed by Charles F. Kettering makes its first successful unmanned flight test, albeit for only nine seconds. October 2 1910 - The first mid-air collision takes place near Milan. Both pilots survive, but one is badly injured. October 3 1931 - 3-5 - Hugh Herndon and Clyde Pangborn make the first non-stop flight across the Pacific Ocean, from Samushiro Beach, Japan, to Wenatchee, Washington in 41 hours in a Bellanca Skyrocket. October 3 1901 - Wilhelm Kress trials his Drachenflieger twin-hulled tandem triplane seaplane, the first powered marine aircraft, in Austria-Hungary. It begins to become airborne when Kress slows and tries to turn to avoid an obstruction, capsizing the aircraft. October 4 1946 - The B-29 Pacusan Dreamboat sets a world nonstop, unrefueled distance record of 9,500 miles on a flight from Honolulu to Cairo, Egypt. October 5 1914 - First aerial combat kill in history recorded when a Voisin pusher of Escadrille VB24, French Air Service, flown by Sgt. Joseph Frantz and Cpl. Qu�nault, downed a German two-seater Aviatik B.II, flown by Feldwebel Willhelm Schlichting with Oberleutnant Fritz von Zangen as observer, over Jonchery, Reims, using what is believed to have been a Hotchkiss machine gun. October 6 1993 - Larry Walters, American "lawn chair" pilot dies. He took flight on July 2, 1982 in a homemade aircraft constructed out of a patio chair and 45 helium-filled weather balloons. He reached an altitude of 16,000 feet (3 miles) and floated from San Pedro, California into federal airspace near Long Beah airport. October 6 1908 - Wilbur Wright and a French writer make the first passenger flight of over one hour. Taiwan, Kaohsiung: A Taiwanese AT-3 military jet on a training exercise that had taken off from an air force base in the southern city of Kaohsiung disappeared off radar screens in the skies over Nantou County in central Taiwan. Yellow Sea, China: U.S. officials say a Chinese fighter executed an unsafe manoeuvre about 500 feet from the nose of a U.S. Air Force RC-135 surveillance aircraft last week over the Yellow Sea off the coast of China. The pilot of the U.S. aircraft believed "that the plane passed in an unsafe fashion in front of the RC-135." USA, Baltimore: a Delta flight from Baltimore to Atlanta was grounded before passengers had boarded after baggage handlers spotted a tarantula in the cargo hold. 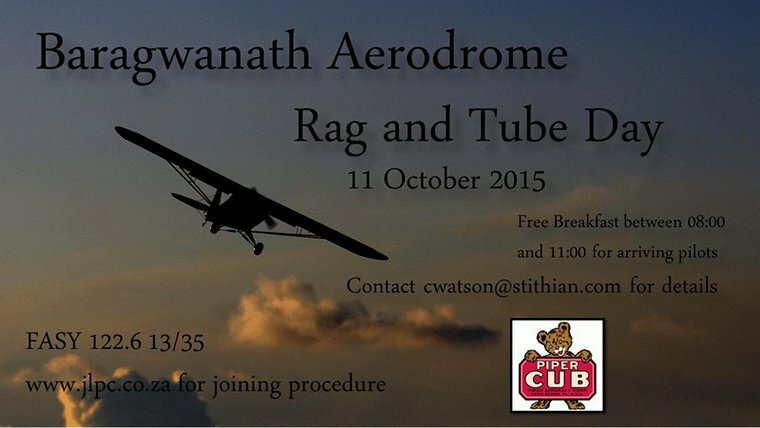 The crew was notified and subsequently made the decision to continue on another aircraft. The spider was never in the cabin or seen by passengers or flight crew. The aircraft in question remained out of service Thursday as it was cleaned and searched. Australia: An Airbus A330 en route from Australia to Hong Kong was diverted to Bali after one of the plane's engines reportedly caught fire and cut out. The Cathay Pacific flight CX170 was cruising at 36,000 feet when a "No.2 engine defect" was reported. The captain made a decision to divert the plane to the nearest airport "for safety reasons." The aircraft landed safely in Denpasar, Bali. USA: Airport security agents discovered a record 67 firearms in in carry-on bags during one week in September according to the Transportation Security Administration (TSA). Of the 67 firearms found during the week ending 17 September, 56 were loaded and 26 had a round in the chamber the TSA reported. Nationwide, TSA officers have found more than 2,000 firearms at airport security checkpoints so far this year. 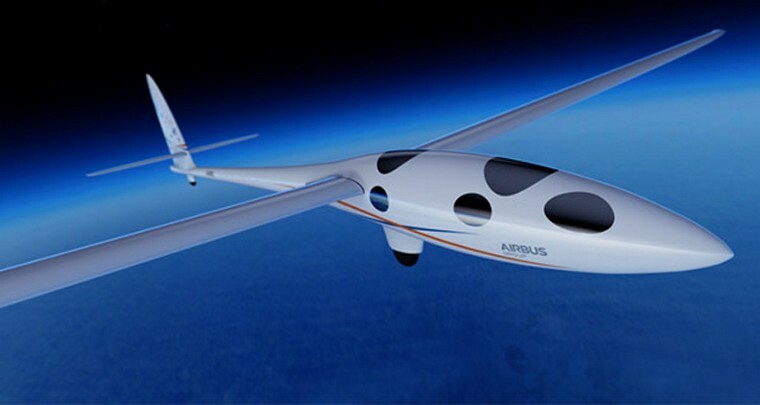 The Perlan 2 glider, the world's first engineless aircraft designed to reach the edge of space, achieved its successful first flight in a historic moment about 5,000 feet above Roberts Field, the Redmond Municipal Airport in Oregon. "Airbus Perlan Mission II is a historic endeavour in the truest spirit of aviation's earliest pioneers," said Tom Enders, Chief Executive Officer (CEO) of Airbus Group. "The knowledge gained from this project will impact how the world understands and addresses climate change. But it will also help Airbus continue to innovate ways to fly higher, faster and cleaner, on Earth and possibly beyond." The Perlan 2 glider was developed by The Perlan Project, a volunteer-run, non-profit endeavour headed by leaders in aerospace and engineering. It is supported by Airbus Group and a group of other sponsors that includes Weather Extreme Ltd., United Technologies and BRS Aerospace. Jim Payne and Morgan Sandercock piloted the flight, which was the first of many for the Airbus Perlan Mission II team as it prepares to soar the aircraft to the edge of space in Argentina in 2016. The Perlan 2 is a pressurized sailplane designed to ride air currents that, in certain mountainous regions near the north and south poles, can reach into the stratosphere. Next year's flights are expected to reach 90,000 feet, exceeding even the altitudes achieved by the U-2 and the SR-71. Despite having no engine, the glider's true flight speed at that altitude will be more than 400 mph and the air density will be less than two percent of what it is at sea level. The crew will breathe pure oxygen provided by a re-breather system, similar to what astronauts use in space. *Understanding Weather - What happens at the highest levels of the stratosphere impacts weather around the globe, and Perlan 2 will be able to directly observe important atmospheric phenomena that previously have only been speculated about. *Predicting Climate Change - Perlan 2 will collect and share data with atmospheric scientists worldwide, to improve climate models and more accurately predict climate change. *Diagnosing the Ozone Layer - Perlan 2 can take untainted air samples from the stratosphere to measure the levels of ozone-damaging chemicals and assess whether the ozone layer is replenishing or still depleting. *Future of Aviation - Many of the high-altitude weather phenomena Perlan 2 will encounter have implications for aircraft performance and safety, especially as commercial aviation strives to operate aircraft at higher altitudes. *Future of Space Travel - Perlan 2 will operate in atmospheric conditions roughly similar to those on Mars, providing insight into how wing-borne aircraft could operate above the Martian surface. Victoria, British Columbia, September 8th, 2015: Viking Air Limited of Victoria, British Columbia, and RN-Aircraft, a Rosneft subsidiary based in Krasnoyarsk, Russia, have signed a multi-aircraft purchase agreement for ten Viking Twin Otter Series 400 aircraft to be delivered between November 2015 and early 2017. The aircraft are destined for the Krasnoyarsk region in south central Russia, where they will be used in multiple roles including 19-passenger regional commuter, corporate shuttle, and cargo operations. With optional float and wheel/ski installations available, the basic aircraft can also be modified for use in waterbased locations or during winter conditions on snow and ice. Rosneft selected the Twin Otter Series 400 aircraft to service the company's business in remote areas due to its ability to efficiently and reliably perform in extreme conditions on unprepared ground and shortfield sites. "The selection of the Twin Otter by Rosneft confirms that this aircraft is a credible and cost effective alternative to helicopters currently found in Russia and CIS when it comes to utility air transportation," commented Dominique Spragg, Viking vice president Strategic Planning. Further to the MOU announced at the 2010 Farnborough Air Show for the development of a dedicated Twin Otter facility in Russia, discussions are still ongoing between Viking and Moscow-based Series 400 sales representative Vityaz Avia with the goal to provide customers such as RN-Aircraft maintenance and service offerings in-country. The Series 400 Twin Otter is the best-selling next generation turbo-prop aircraft in its class, with Viking aircraft sold and delivered to 28 countries worldwide. 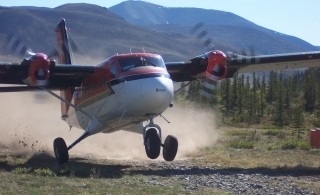 Viking provides OEM support for the global fleet of de Havilland legacy aircraft (DHC-1 through DHC-7) and forms part of Westerkirk Capital Inc, a Canadian private investment firm with substantial holdings in the hospitality, aviation, and real estate sectors. 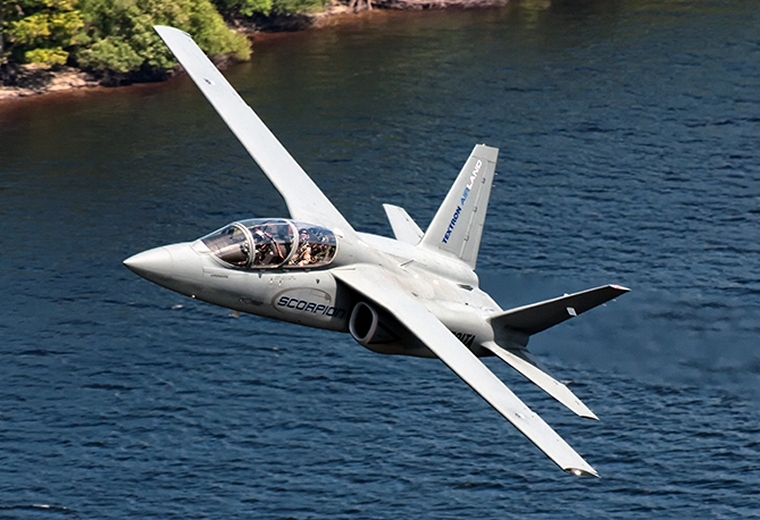 Textron AirLand, LLC, a Textron Inc. (NYSE: TXT) company, will bring its Scorpion� ISR/Strike tactical jet to Washington, DC on September 15 and 16 at the Air Force Association's Air & Space Conference. The aircraft will be displayed at Signature Flight Support Terminal, at Ronald Reagan Washington National Airport (DCA), a short distance from the conference center. This will be Scorpion's second fly-in to the Nation's Capital, and caps off a four-month, multi-national tour that included rigorous demonstrations for air forces in South America and Europe. The interactive exhibit will highlight the multi-mission flexibility of the Scorpion and feature a variety of multi-spectral sensor and high-definition video camera packages engineered for intelligence, surveillance and reconnaissance missions. 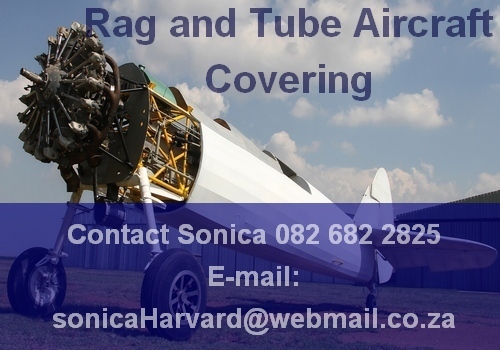 Several wing-mounted mock munitions will be shown, representing a typical array of air-to-surface and air-to-air weapons preferred by the US and partner nations. 16 companies are expected to participate, showcasing more than 35 products capable of supporting Scorpion's diverse mission set. 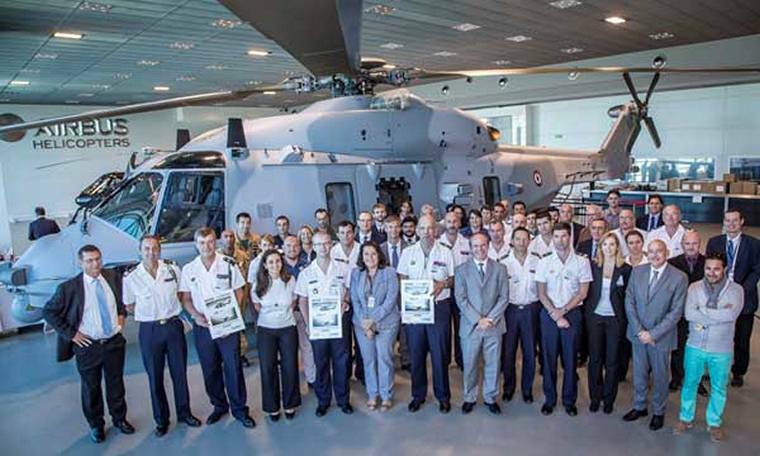 Airbus Helicopters, the French Defense procurement agency (DGA - Direction g�n�rale de l'armement) and the French Navy marked the handover of the 15th NH90 NFH multimission naval helicopter, the first to be delivered in the final radar configuration (FRC), during a ceremony held in the facilities in Marignane. The DGA ordered 27 NH90 NFH from NHIndustries in two different configurations for the French Navy. To date 15 aircraft have been delivered and the French Navy declared an operational capability in the anti-submarine operational role on 5 December 2014, completed on 3 March 2015 by the operational capability of the MU90 torpedo. The naval version of the NH90 is designed to perform a wide range of missions from anti-submarine, to anti-surface warfare, search and rescue, maritime surveillance and control and special operations including counter terrorism and anti-piracy. The NH90 in its final radar configuration includes also an advanced sonar providing the Navy with improved submarine detection and classification capabilities, as well as a new system for the Digital Map Generator (DMG) facilitating mission preparation and execution. The NH90's 4-axis autopilot and the fly-by-wire controls contribute to safety and maximum flight performance in severe operating conditions. The NH90 is the first serial helicopter in the world to be equipped with fly-by-wire technologies, significantly reducing pilot workload and allowing for this state-of-the-art helicopter to be piloted with ease. To date, 249 NH90 have been delivered to 13 countries and have logged over 95 000 flight hours, confirming its success on the export market. The twin-engine, medium-size NH90 helicopter program is managed by the consortium NHIndustries, a company owned by Airbus Helicopters (62.5%), AgustaWestland (32%), and Fokker (5.5%). The Boeing [NYSE: BA] and U.S. Air Force team successfully completed the first flight of a KC-46A tanker aircraft taking off from Paine Field at 1:24 p.m. (PST) and landing four hours later at Boeing Field in Seattle. This was the first flight of a KC-46A tanker-configured aircraft, following ongoing flights of the program's first test aircraft, a 767-2C. During the flight, Boeing test pilots performed operational checks on engines, flight controls and environmental systems and took the tanker to a maximum altitude of 35,000 feet prior to landing. "This first tanker flight is a key milestone for the program and we'll now begin free air stability tests and flight controls of the boom and wing aerial refuelling pods (WARPs) before conducting aerial refuelling tests where the KC-46 will make contact with other military aircraft down the road," said Col. Christopher Coombs, U.S. Air Force KC-46 System program manager. "Today's flight reinforces that we are moving in the right direction and are on track to begin planned Milestone C testing later this year," said Tim Peters, Boeing KC-46 tanker vice president and program manager. "This is an aerospace industry first and the culmination of a lot of hard work by the team, including Boeing, our suppliers and the U.S. Air Force." The Boeing team now will conduct a post-flight inspection and calibrate instrumentation prior to the next series of flights, during which the tanker boom and WARPs systems will be deployed. Before the end of the year, the KC-46 will begin conducting aerial refuelling flights with a number of U.S. Air Force aircraft. Those flights, along with the mission systems demonstrations and a recently completed ground cargo handling test, will support the planned Milestone C decision in 2016. As part of a contract awarded in 2011 to design and develop the U.S. Air Force's next-generation tanker aircraft, Boeing is building four test aircraft - two are currently configured as 767-2Cs and two KC-46A tankers. The KC-46s will fly as fully equipped tankers through the FAA and military certification process, while the 767-2Cs enter flight test prior to receiving their upgrade to the KC-46A configuration and the addition of their aerial refuelling systems. The program's first test aircraft (EMD-1), a 767-2C, has completed more than 150 flight test hours to date since making its first flight in December 2014. The KC-46A is a multirole tanker Boeing is building for the U.S. Air Force that can refuel all allied and coalition military aircraft compatible with international aerial refuelling procedures and can carry passengers, cargo and patients. Overall, Boeing plans to build 179 KC-46 aircraft for the U.S. Air Force. Textron Aviation Inc., a Textron Inc. (NYSE:TXT) company announced its Cessna TTx - the fastest fixed-gear piston aircraft - will be headlining its diverse product lineup at this year's Reno Air Races. The TTx's efficient laminar-flow wing design, race-bred engine and low-drag profile can be seen this week at Stead Field in Reno, Nevada. "There is no better venue to showcase the Cessna TTx than the Reno Air Races, where speed really does matter," said Doug May, vice president, Piston Aircraft. "The TTx stands out from the competition, making it a clear choice for someone who wants speed and luxury without sacrificing versatility." The TTx, with its Continental TSIO-550-C engine that propels the TTx to 235 knots, is the fastest fixed-gear piston airplane on the market. It has a light-weight and strong all-composite body and wing that provide a precise stable ride, and remains the only aircraft in its class to hold a Utility Category certification. Inside the cabin, the TTx features a luxury interior with a first-in-class Intrinzic Flight deck system powered by Garmin G2000 avionics. Alongside the TTx, the company will also be displaying its 400-knot Cessna Citation M2 light jet, Fusion-equipped Beechcraft King Air 250 turboprop, the 600-horsepower twin-engine Beechcraft Baron and the heavy lifting Cessna Turbo Stationair single-engine piston aircraft. Boeing (NYSE: BA) and Cathay Pacific Airways celebrated a significant achievement today with the delivery of the airline's 70th 777 aircraft - also the last and 53th 777-300ER (Extended Range) of its confirmed orders - that has made Cathay Asia's largest operator of the 777 fleet. With today's delivery, Cathay Pacific's 777 aircraft fleet comprises of 53 777-300ERs, 12 777-300s and five 777-200s. The airline is one of the launch customers for the 777X with 21 777-9 airplanes on order. 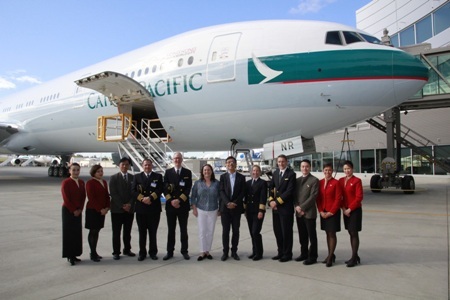 Cathay Pacific took delivery of its first 777-300ER in September 2007. This efficient aircraft allows the airline to modernize its long haul fleet with enhanced operational efficiency and extended range with more environmentally friendly features. "The 777s have played an important role in Cathay Pacific's fleet modernization and network expansion strategy," said Ivan Chu, Chief Executive, Cathay Pacific Airways. "We operate the largest 777 fleet in Asia, and these aircraft offer the range, reliability and flexibility to build multiple daily frequencies on trunk routes, both within the Asia-Pacific region and, with the 777-300ERs, on long-haul and ultra-long-haul routes. Our 777 fleet has helped in our efforts to reinforce Hong Kong's position as one of the world's most important international aviation hubs." Cathay Pacific group operates flights to nearly 200 destinations worldwide with its own fleet of more than 200 aircraft. "We have enjoyed a long-standing relationship with Cathay Pacific on the 777 program," said Ihssane Mounir, senior vice president, Northeast Asia Sales, Boeing Commercial Airplanes. "We are honored to celebrate the delivery of Cathay's 70th 777 and will continue to extend the fruitful partnership over the years with our next generation 777X." The 777-300ER, which makes up the largest part of the Cathay Pacific fleet, is one of the most fuel and cost-efficient airplanes in its class as well as the most reliable twin-aisle aircraft in the world. It also has the highest cargo capability of any passenger airplane in service. The 777-300ER will receive further improvements in 2016 designed to reduce fuel use by 2 percent. The 777-300ER has consistently won many accolades including "Best Aircraft Type" based on passenger preference polls, "Best in Class" based on fuel burn, passenger load cost and performance and "Best Residual Value for a Twin Aisle Airplane" among others.